The most significant source of increase in the deficit this year is the six percent increase in government spending on programs like Social Security and Medicare. Unlike discretionary spending, these entitlement programs are on autopilot, increasing annually without the need for Congress to vote. The only increase that was higher is the 11 percent increase in interest payments on the national debt the government makes. The baby boomer generation is aging, meaning every year more outlays are required to satisfy these entitlement programs, whether in the form of Social Security payments or Medicare spending. By December 9th, Congress is expected to vote on a budget for fiscal year 2017. Yet, as in past years, Congress continues to avoid politically difficult decisions on entitlement reform, making the problem more urgent and costly for future generations. 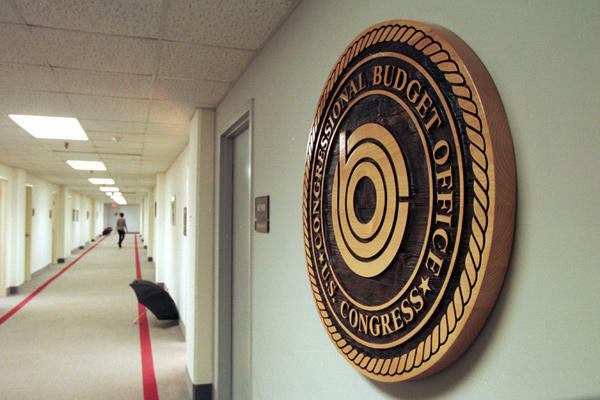 According to the CBO, the deficit is expected to balloon to $1.2 trillion by 2026. As a percentage of GDP, it would be 4.6%. Furthermore, over the next ten years, GDP is expected to grow at a slower pace than previously projected. By 2026, the deficit will be larger relative to GDP than the average of the last 50 years. Another disturbing measure is the federal debt held by the public relative to GDP. By the end of 2016, it is expected to be 77% of GDP, or approximately $14 trillion. By 2026, it is expected to be 86% of GDP, or $23 trillion. That is a level that has not been seen in 50 years. This can become a serious problem if interest rates go up and the federal government is forced to make higher interest payments on the debt over the next ten years. In order for these dire projections to be reversed, the economy has to grow faster. There has to be an increase in consumer and investment spending. One way to get these two forms of spending going is to restore confidence in the country’s fiscal situation. As long as consumers and investors continue to believe their government is headed in an unsustainable path, it will be very hard to restore confidence in the economy. This is one more reason for Congress to act now, rather than continue to kick the can down the road.